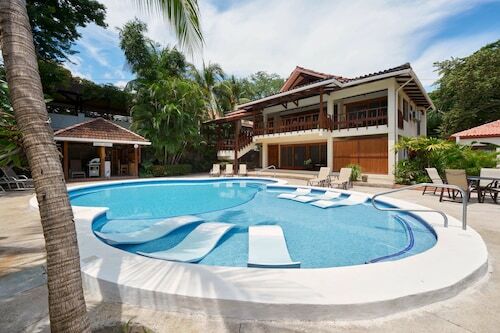 Nestled on the beach, this Tamarindo property is 0.6 mi (1 km) from Tamarindo Beach and 1.8 mi (2.9 km) from Grande Beach. Tamarindo Church and Canopy Vista Tamarindo are also within 6 mi (10 km). 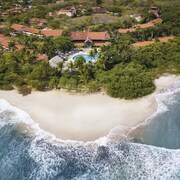 Situated by the ocean, this spa hotel is 0.6 mi (0.9 km) from Tamarindo Beach and 2.5 mi (4 km) from Tamarindo Church. 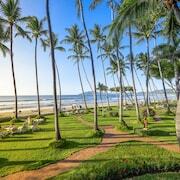 Grande Beach and Canopy Vista Tamarindo are also within 6 mi (10 km). 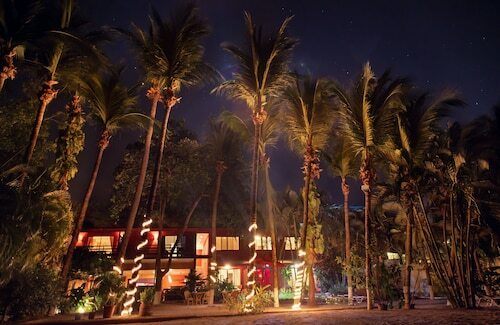 Situated near the beach, this hotel is steps from Grande Beach and Tamarindo Beach. Tamarindo Church is 1.9 mi (3.1 km) away. 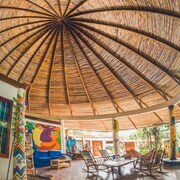 Located in the heart of Tamarindo, this hotel is 0.3 mi (0.4 km) from Tamarindo Beach and 2.7 mi (4.3 km) from Tamarindo Church. Las Baulas National Marine Park and Conchal Beach are also within 12 mi (20 km). "just for Two," Romantic, Luxury, Casitas, Gourmet Breakfast Included! 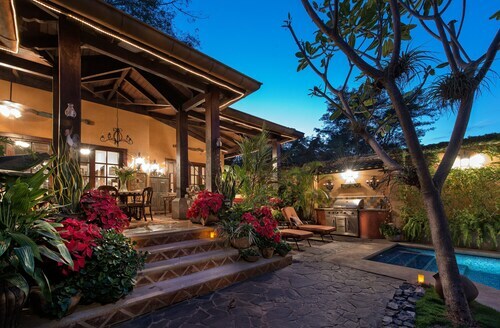 Situated in Tamarindo, this romantic bed & breakfast is within 1 mi (2 km) of Grande Beach and Tamarindo Beach. Tamarindo Church is 2.9 mi (4.6 km) away. 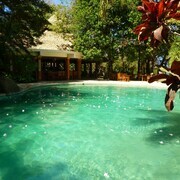 Nestled on the beach, this Tamarindo lodge is within 1 mi (2 km) of Grande Beach and Tamarindo Beach. Tamarindo Church is 2.8 mi (4.4 km) away. 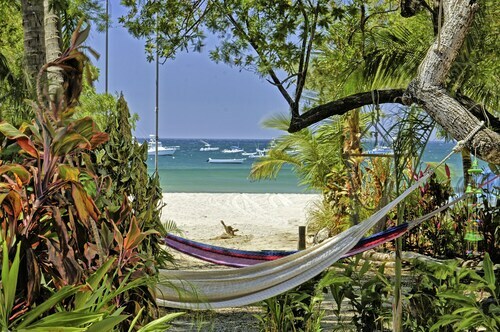 How Much is a Hotel Room in Tamarindo? 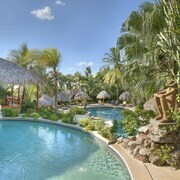 Hotels in Tamarindo start at $57 per night. Prices and availability subject to change. Additional terms may apply. Roaming towards Tamarindo? 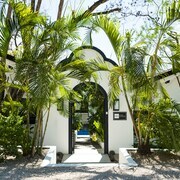 There is a broad selection of perfect places to stay for the modern traveler to choose from. 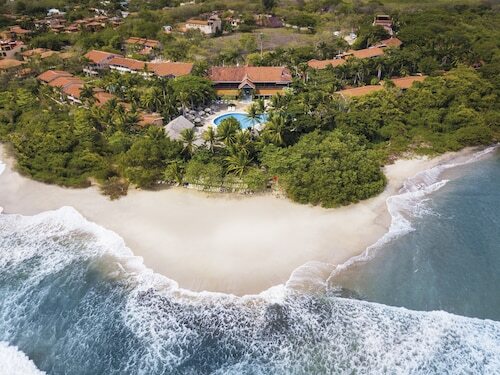 Travelocity's booking page currently features 57 places to stay within a 6-mile (10-kilometer) distance of Tamarindo's heart. 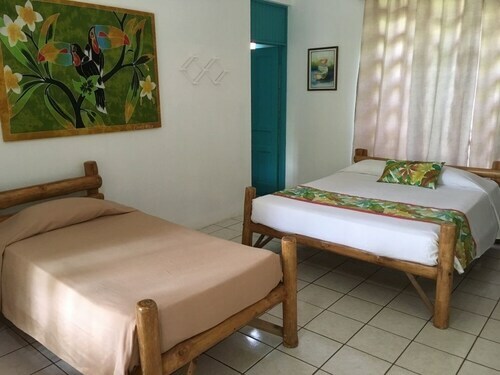 Modern travelers trying to find a Travelocity-listed hotel near the centrally located attractions of Tamarindo won't need more options than the handy location of Dreamsea Surf Camp. Families, students and those watching their dollars will find some great Tamarindo room options that definitely won't that won't make the bank manager's jaw drop. 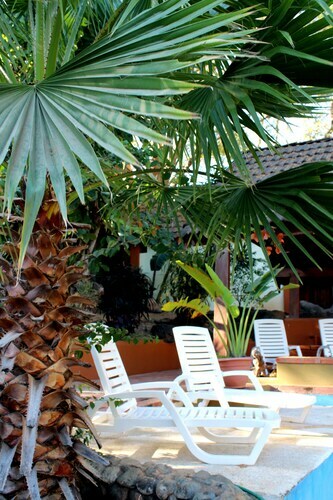 2 miles (3 kilometers) away from Tamarindo's center is the Tamarindo Blue Apartments. 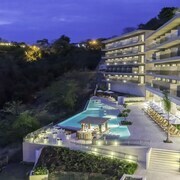 The Jardín del Edén Boutique Hotel is only 1 mile (2 kilometers) away. 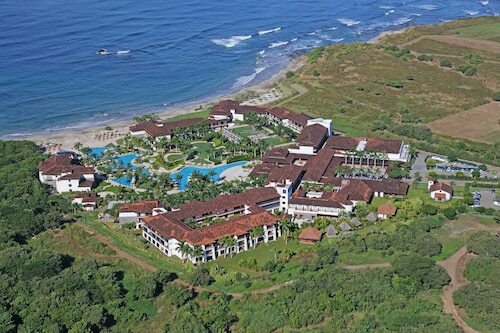 Two more budget options in Tamarindo include the Hotel Arco Iris and the Hotel Pueblo Dorado. 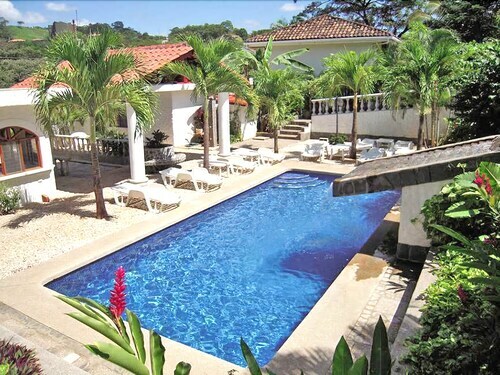 2 miles (4 kilometers) outside of the heart of Tamarindo, you will find the Naxos Condominium. The Crystal Sands is positioned 2 miles (4 kilometers) away. 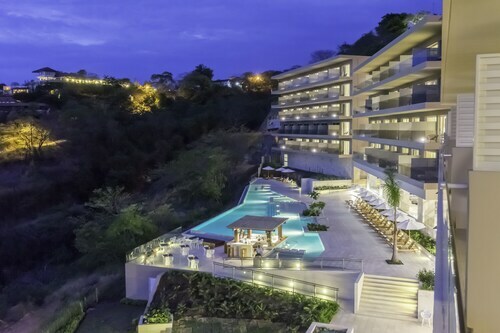 An alternative option is to book a bed at the Luxury Villa Rentals at Hacienda Pinilla or the The Westin Golf Resort & Spa, Playa Conchal - All Inclusive. 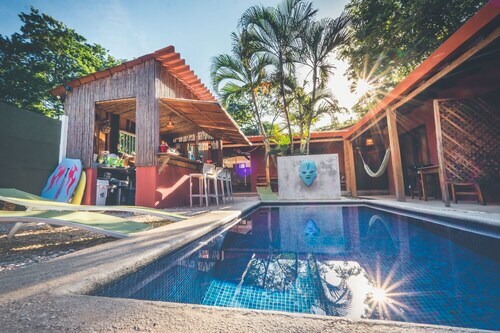 25 miles (41 kilometers) from Tamarindo, you'll reach Nosara, which is where you can visit Safari Surf School and Frog Pad. 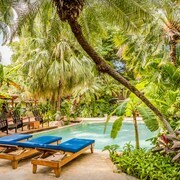 The LAcqua Viva Resort & Spa and The Harmony Hotel are a handful of the Travelocity-listed long and short-stay choices in Nosara. 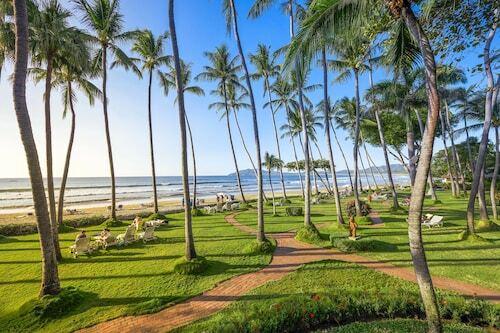 40 miles (62 kilometers) southeast of Tamarindo, you'll find Carrillo, which features the Villas Playa Samara Beach Front Resort - All Inclusive and Hotel Guanamar. 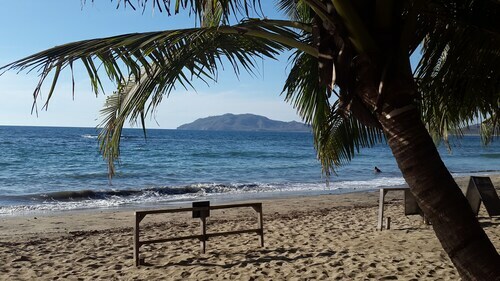 If you're staying in Carrillo, a couple of sights worth adding to your itinerary are the Samara Beach and Carrillo Beach. Daniel Oduber International Airport is a practical gateway for those arriving by air to Tamarindo. You can find it 30 miles (45 kilometers) away. For modern travelers who choose to find a Travelocity-listed base nearby, try the Hilton Garden Inn Liberia Airport or Hotel Rincon del Llano. Loved the location, close to town but at the better part of the beach away from crowds, so very relaxing. The room was as described and shown in pictures and having the kitchen was great. The staff are wonderful - especially Fernanda, Sandra, Wendy and Gerry. They cheerfully and quickly took care of every request, are very knowledgeable about the area, made great recommendations and happily make reservations and local travel arrangements. This small hotel has a wonderful, friendly atmosphere. Fellow guests said hi to each other, and we met a few couples who said they were return guests. We stayed for two weeks and my recommendation is to improve upon the continental breakfast, as it was basically the same every day. More healthy cereals (not fruit loops) and change up the sliced bread for bran muffins, croissants or english muffins some days. Very cozy atmosphere, quiet neighbourhood, walking distance to excellent restaurants, very hospitable hostess. The hotel is small and hidden away, but not far from the beach and all the activity one would expect to find there. The pool was perfect for us when the beach didn't beckon. The owner, Gabriela was a joy to pass the time with and the staff was exceedingly friendly, while constantly cleaning and grooming the grounds. All in all a very relaxing introduction to Costa Rica. That's why we decided to extend our stay: a few weeks.